What is the Best Pressure Washer for Cars? If you like keeping your car sparkling clean, but you aren’t up for getting down and dirty and scrubbing, a pressure washer could be the answer. Cleaning a car by hand can take an age. It can seem like you spend hours and hours cleaning and waxing and polishing, but is it worth it? It takes up a lot of time, and there are lots of us that don’t think it’s worth the hassle. If you are one of these people, a pressure washer can reduce the time it takes to clean your car by a huge amount. Hours turn into minutes, and a hardship turns into an easy task. One thing to bear in mind before you purchase a pressure washer for your car is that they can damage the paint. If the pressure is too high, the force of the water can do damage to the paint. The best pressure washer for cars is going to take this into account and be set at a pressure that won’t harm your vehicle. You might see the abbreviations PSI and GPM when looking at pressure washers. PSI refers to the amount of pressure that the water is under as it leaves the nozzle. PSI stands for pounds per square inch. The GPM rate is how much water is coming out at that time. GPM stands for gallons per minute. A gas powered pressure washer tends to have a more pressure behind it than an electric one. Pressure washers under 1900 PSI should not do any damage to your car. Anything over this can start to get dangerous and possibly destroy your paintwork. To avoid this, start off using the pressure washer at about 24 inches away from the vehicle. You can move closer, to about 12 inches is required, but don’t get closer. The closer you get the more likely you are to do damage to the car. Most pressure washer soap recipes are suitable for use on your car, as well as your patios and decking. Make sure you check the label just in case. With that in mind, let’s take a look at some of the best pressure washers for cars on the market. 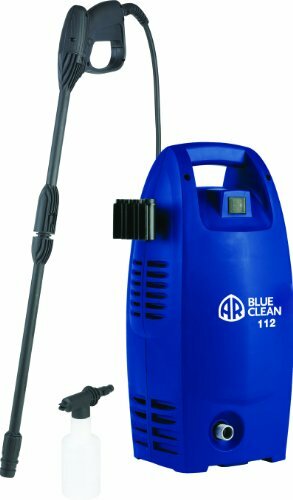 This is an electric powered pressure washer which has 1600 PSI and GPM rate of 1.58. Anything under 1900 PSI shouldn’t do any damage to your car. 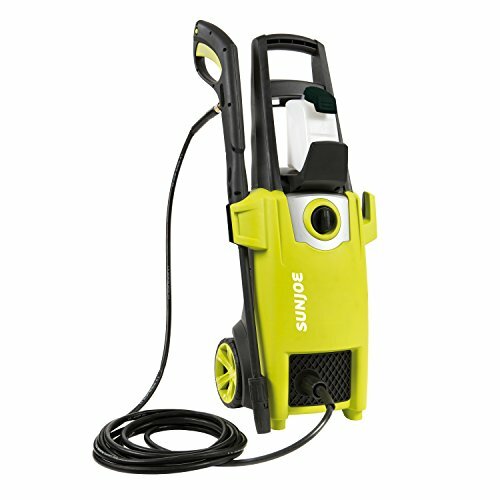 This pressure washer also has a long cord to make for easy handling and a long power cord. If you think you need a bit more pressure to get things clean, the Sun Joe SPX2000 offers up 1740 PSI. The GPM rate is 1.59, and it’s got an adjustable spray nozzle to help you control the flow of water easily. The detergent tank holds 0.9 liters.